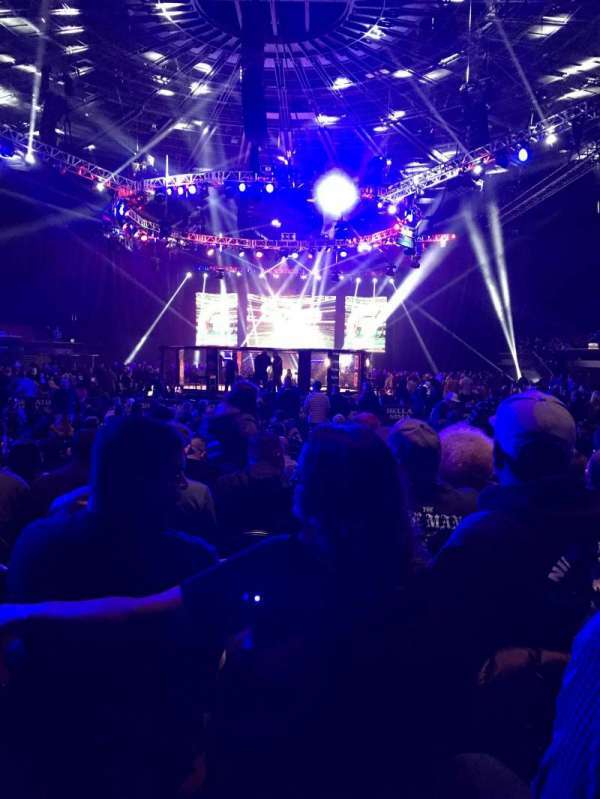 Bellator 170: This photo is zoomed in a little from my phone but more like what I see in person. Photo from seat 8 is also my photo but not zoomed. 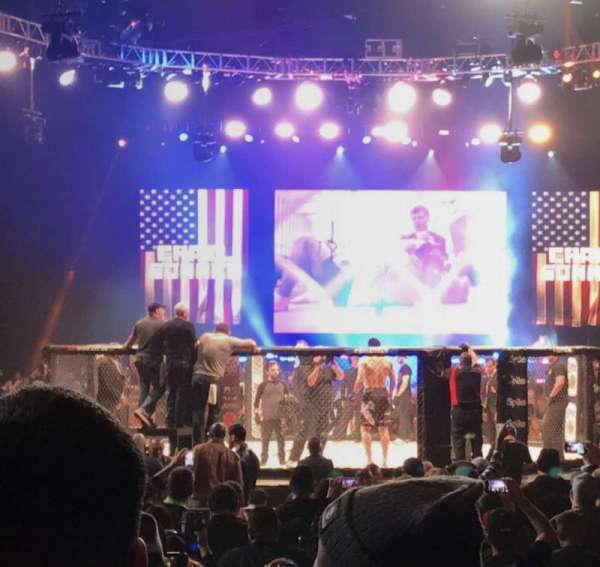 We only looked at the TV screens when the fighters were blocked by the fence columns. Nice seats. Bellator 170 - Ortiz vs. Sonnen - Nice seats, good view. Only obstructions were the blacked out of the fence. To save a couple bucks I wouldn't mind being seated in the section above this level. Great view of the ring just above the fence.